End cap displays often give the best exposure in the retail setting. We enjoy designing displays for end cap placement because there is plenty of room for graphics. 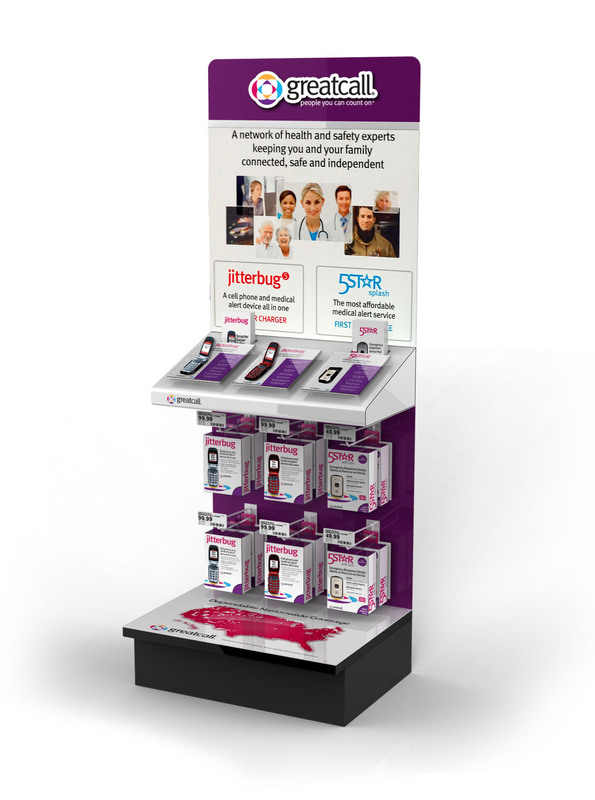 You can use the full sides of the display to help tell the sales story, or utilize the sides to create a full three sided display. In some retail environments, the end cap is a permanent gondola; incorporating shelf displays is a great way to get a custom look. For smaller products we have designed and produced side wings and power panels which allow for great product placement that is still on an end cap display. Request a quote today or contact Simply Displays for the custom end cap displays you need.